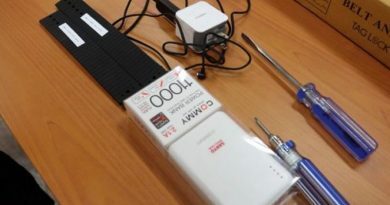 The Governor of Bangkok has ordered measurements to help solve the dust pollutants problem in Bangkok, several areas have had dangerous air quality levels for a few days. 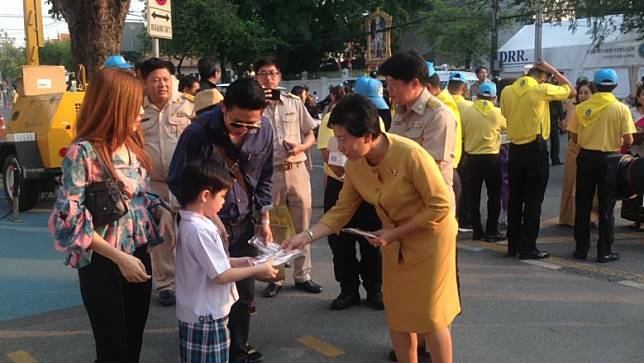 The orders include road cleaning, N95 masks for the people and No big trucks allowed to enter the roads of Bangkok. 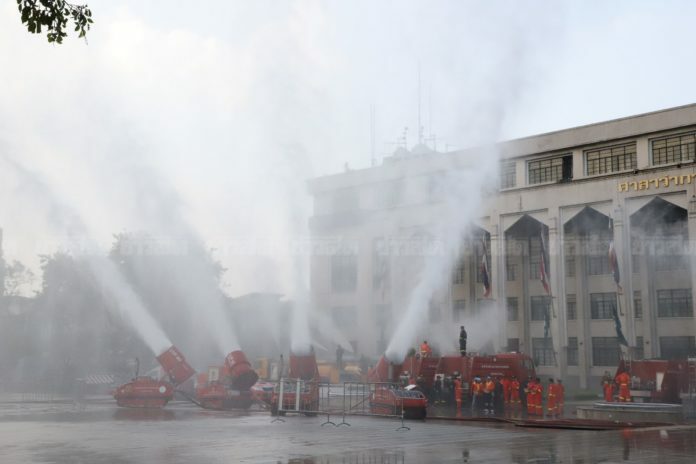 The Bangkok Governor reported on Monday the 14th of this month covering topics of pollutant dust concerns to different officials responsible for the public care in Bangkok city. 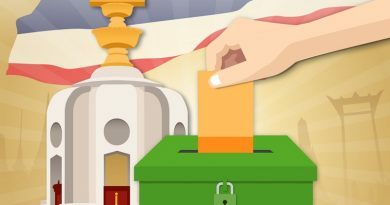 Beginning from the 14th, 50 zones are to be cleaned by spraying water on the roads and in the area to help clean the dirt spread throughout the air. The zones include Jatujak, Vibhavadi Rangsit, Kanjanapisek, Bang Khun Thian, and more, especially in areas where the air quality level is currently rated as red zones. 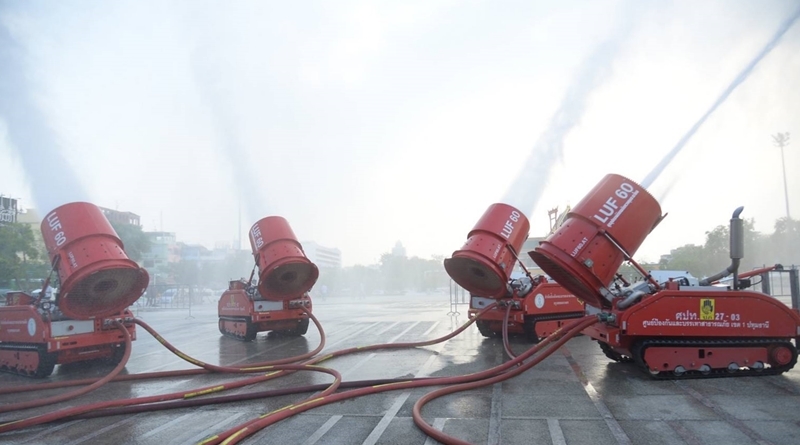 There will also be special water pressure trucks designed specifically to catch the PM 2.5 dust in the air. 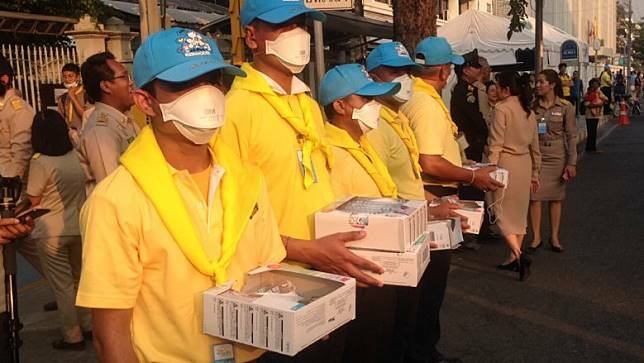 There will be distribution sites set up throughout Bangkok giving away 10,000 N95 masks. This specific type of mask is able to filter tiny particles of PM 2.5, normal masks found in convenient stores cannot filter such fine particles. Other government sectors will try to gather as many N95 masks as they can from other provinces to the people of Bangkok ASAP as there is currently not enough stock in the big city. 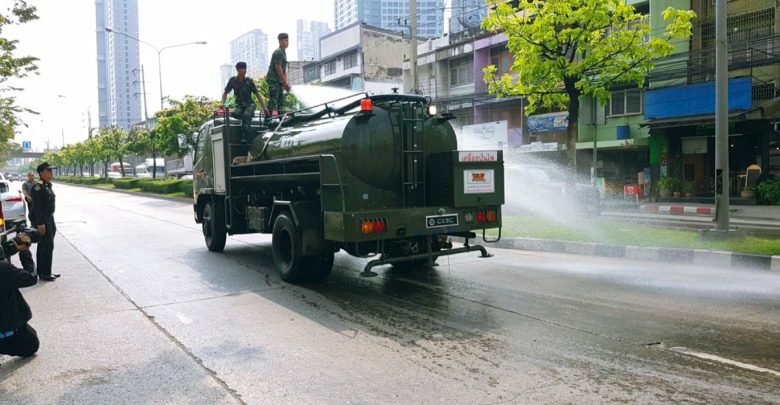 The traffic police are ordered to strictly make sure that there are no big trucks entering the city before 9 am and after 3 pm. 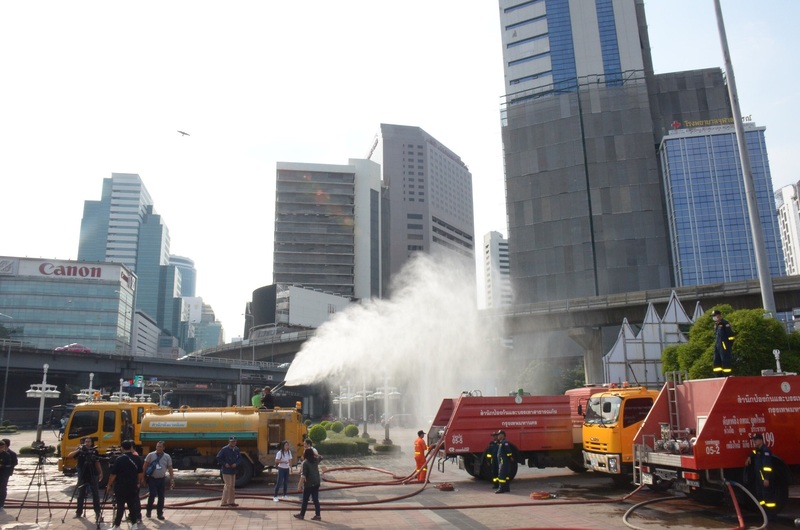 The Bangkok Governor has addressed that he acknowledges the fact that this is trying to fix the problem, not solving the issue but we have to do the best that we can to help lower the dust in Bangkok. Bangkokians and residents in nearby provinces are advised to follow the official air quality levels in their area through the Pollution Control Department website at http://Air4Thai.pcd.go.th, The PCD Facebook page, and at the Air4Thai application. 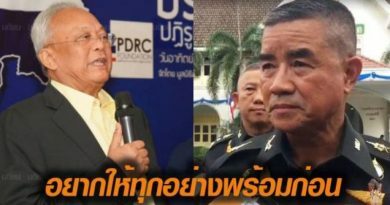 FB Caption: The Bangkok Governor has addressed that he acknowledges the fact that this is trying to fix the problem, not solving the issue but we have to do the best that we can to help lower the dust in Bangkok.